What are they and why does your business need one? Small business networks are becoming increasingly complicated as more and more applications are delivered over the internet, ISP speeds get faster and users require constant uptime and access to their company data from anywhere. Along with faster speeds and internet usage threats also rapidly increase in volume and sophistication, it gets more difficult to protect your system and applications. With 60% of attacks in 2014 targeting small to medium-sized businesses, according to Travelers Insurance, effective security is key for every business, regardless of size. 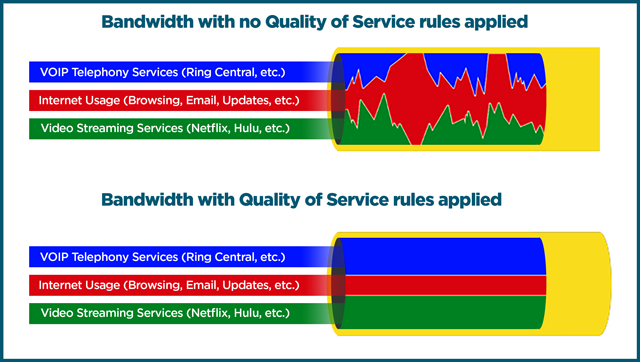 Content Filtering enables the users of your network to use the Internet while remaining protected from inappropriate or harmful content, maintaining productivity and compliance with applicable business and regulatory requirements. Blocking specific types of harmful or unwanted traffic. In the example below you see that Adult Content, Gambling, Games, etc. have been blocked. Instead of having to know the exact web address of every type of Gambling website we can block based on category. These categories are synchronized with content databases that are updated daily and provide very good coverage for each category available. If there are websites that are not caught by the filter the site can be manually blocked and reported to the vendor.